Going to university with children: what options are there? Advice can be given in person, over the telephone or by email. 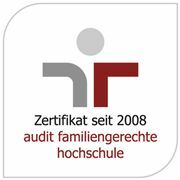 You can also ask in the Family Services Office for all the information on the "audit familiengerechte hochschule" family-friendly university audit. This is the coordination point for further work and projects in pursuit of family-friendly targets within the TU Berlin and the place where the auditing processes are organized.